Leonard Laskow, M.D. 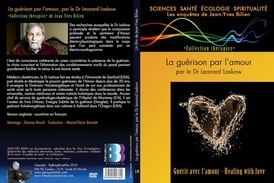 : Holoenergetic and Self Awakening - Books and MP3's - LEONARD LASKOW M.D. For Giving Love gives you the tools for giving yourself the unconditioned love and happiness you’ve always wanted. This book addresses specifically how YOU can bring the very tangible power of love and forgiveness into your world. You will learn why forgiveness works, not just in metaphysical terms, but also biologically.You will come to recognize the patterns and beliefs that create resistance to forgiveness, and you will see clearly how easy it is to overcome this resistance once you understand what a powerful force forgiveness is. You will learn how to practice “presence” so that who you really are can compassionately transcend who you “think” you are. And, you will learn a simple, easy-to-use process to help you forgive and free yourself from past limitations and stories to finally be who you really are. You will also have the opportunity to unconditionally love and accept yourself — and in so doing, become a light unto the world. Dr. Laskow guides you through this profound process. 1. Conscious Heart Focus induces heart coherence allowing direct access to aware loving presence here and now. 2. Unconditional Love Process opens a portal to oneness through unconditional love. 3. Balancing Breath balances the autonomic nervous system bringing you into heart-brain coherence which induces intuitive knowing, higher guidance and unitive nonlocal awareness. 4. Intuitive Co-Creator guides you in co-creating your reality and manifesting what you truly want with all your heart. 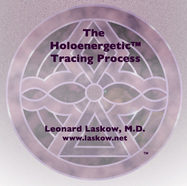 Dr. Laskow guides you through these profound processes. In his acclaimed Thinking Allowed series (Conversations on the Leading Edge of Knowledge and Discovery), Jeffrey Mishlove interviews Dr. Laskow about Holoenergetic Healing. A demonstration of the healing method is included.